Got any plans for the long weekend? If not, come spend a day with us in Niagara Region at half off the regular tour price! The weather forecast for Sunday May 22 for the Niagara area is just perfect -- sunny with cloudy periods and a high of 20C! 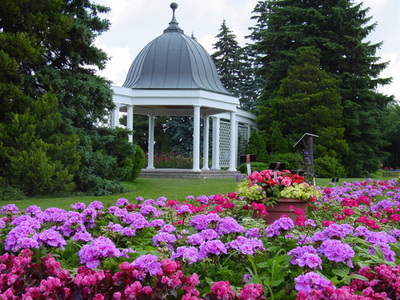 Visit to the Niagara Botanical Gardens included. Bring your own packed picnic lunch or purchase something to eat from the Butterfly Cafe at the Botanical Gardens. 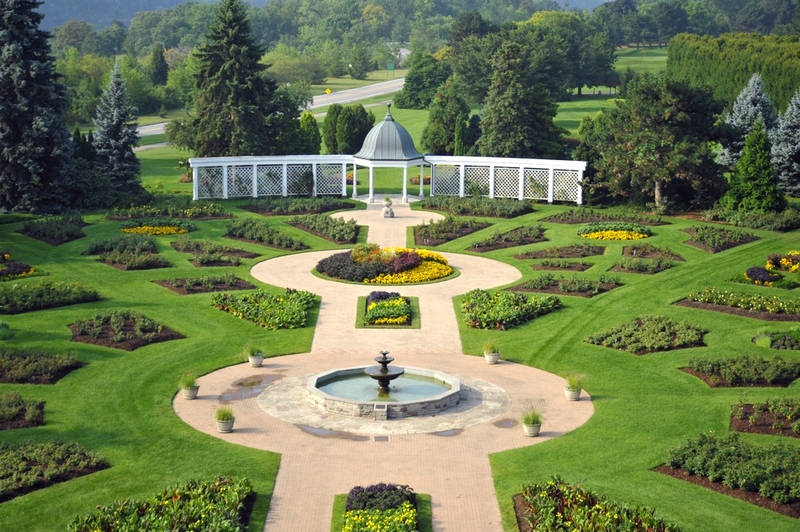 Visit to the Niagara Floral Clock included. One wine tasting experience of 3-4 wines included. Children 10+ are welcome on this tour. Price is same as that for adults. Minors will be served fruit juice during the wine tasting. Please feel free to bring your own packed picnic lunch to eat at on the outdoor patio tables or you are welcome to purchase your lunch from the Butterfly Cafe, also located right at the entrance to the gardens. This unique attraction is a very popular stop on the Niagara Parkway and is photographed almost as often as the Falls! 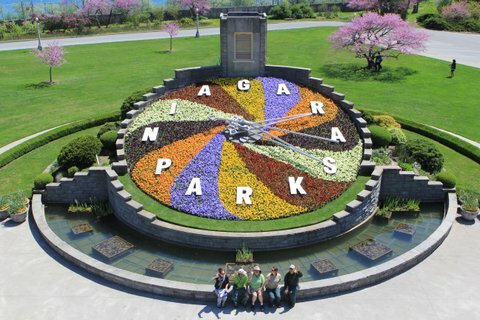 ​The planted face is maintained by Niagara Parks horticulture staff, while the mechanism is kept in working order by Ontario Hydro, the organization that originally built the clock. The intricate designs on the face of the timepiece are created with up to 16,000 carpet bedding plants. 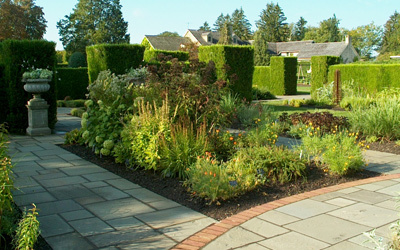 The floral design is changed twice each year, featuring viola in the Spring and four cultivars of Alternanthera along with green and grey forms of Santolina Sage during the Summer and Fall. California Golden Privet and Blue Festuca Grass may be used for contrast. ​The grounds surrounding the clock feature bedding displays and a tower at the back of the clock houses Westminster chimes that greet each quarter hour. If the door into the tower is open, you can take a glimpse at the clock mechanism and enjoy photographs that show the history of almost every face design all the way back to 1950. 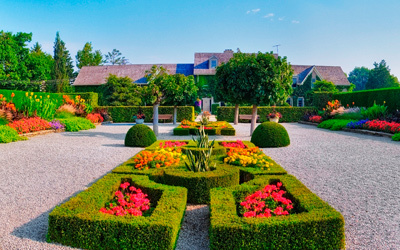 For our wine tasting, we will visit Konzelmann Estates Winery, one of the very few lakefront wineries in Niagara-On-The-Lake. We will get a tasting of 4 wines including Konzelmann's famous vidal dessert wine. 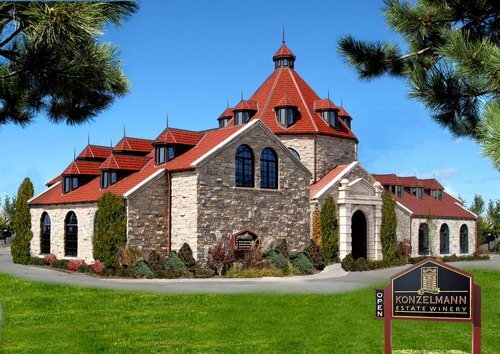 Konzelmann does have bragging rights because it was the first ever Canadian winery to be selected in Wine Spectator's "Top 100" with its vidal icewine. We will finish our day with approximately 2 hours of free time in the beautiful village of Niagara-On-The-Lake. Boutique stores, cafes and restaurants and perfect weather for strolling along the main street.